Carl Ryan Lester of Phelps, Ky is a fabulous example of what a couple of years and a heart full of determination can do to change your health and your life. Lester is an eight year veteran at Pikeville Medical Center (PMC). 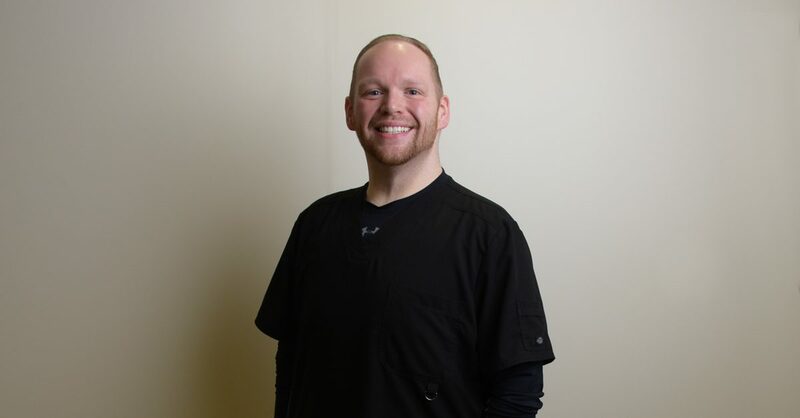 He is a registered nurse and serves as a shift supervisor on the surgical unit. When he came to the decision to make a change in his life and his weight, he was determined to lose 200 pounds. He says when he started his weight loss program, he found himself struggling to walk even one mile and his walks always ended with back pain. His journey began in 2017. Lester was one of 72 PMC employees who began Health Management Resources (HMR), a medically supervised, meal replacement plan for weight loss. Lester made significant strides toward his weight loss goal when he lost 100 pounds. He then decided he needed to be more active to continue progressing toward his goal. “I took the charge to exercise seriously. I joined a local ‘boot camp’ in an effort to improve myself,” Lester said. The accountability and running helped Lester lose an additional 89 pounds. “The support I received from both programs was simply life-changing and just exactly what I needed,” Lester said. In August, Lester was still trying everything possible to obtain his goal weight, but was struggling to make any further progress. “I felt like I still needed help getting the excess weight off,” Lester stated. He actually works on the very floor that cares for bariatric patients after their surgery. He has seen, first-hand, countless patients who found success through weight loss surgery. He knew PMC Bariatric Surgeon Amy Johnson, MD, personally and professionally. He knew what could happen with the right tools for weight loss success. His decision for weight loss surgery proved to be the one that would help him reach his goal and change his life. He lost an additional 70 pounds. Lester began his journey experiencing exhaustion, sleep apnea and was even dependent on oxygen. Since surgery, Lester no longer faces any of these health issues. “If I had not done anything about my weight, I was going to die,” Lester stated. Today, Lester is a healthier and happier version of himself and is a true success story. He runs religiously. He has completed 5Ks, 10Ks, half marathons and plans to run a full marathon. He says life is better than he could have ever imagined. “I am so thankful for the love and support of my family and friends,” Lester added. For more information about the Pikeville Medical Weight Loss Sur­gery Center, call 606-218-2205 or visit the Weight Loss Surgery Center page on our website.